A stand of pandanus amongst termite mounds taken at Coburg peninsula in the late dry season. A very different picture of pandanus near the Darwin suburb of Karama. This photo was taken in January after a good period of rain as can be seen from the green land and grey sky. The pandanus follow a creek line along the skyline. 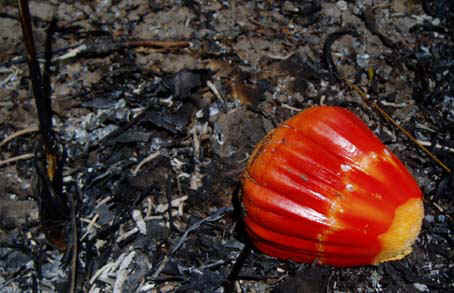 Freshly fallen pandanus seed against a burnt landscape at Holmes Jungle. A close up the pandanus leaf revealing the three rows of spines, along the lateral edges and central rib. The spines are very sharp easily penetrating the skin then often breaking often leading to a persisting irritation and infection. Juvenile pandanus. Freshly collected seed sprout in a basic potting mix after a few months without any special care apart from watering. Even baby pandanus can bite! Pandanus Fish Traps The Maningrida region is known for conical fish traps made by men and now sometimes by women. Traditionally the conical fish traps were used in conjunction with long mats that are used as barriers in creeks to divert fish into trap. Burarra and Kuninjku people are particularly renown for making fish traps. Burarra make conical fish traps called jina-bakara, using pandanus (pandanus spiralis). The Kuninjku people traditionally make two sorts of conical fish traps, one called Mandjabu made from milil (Malaisia scandens) a vine and a smaller one called Manyilk Mandjabu made from the grass manyilk (Cyperus javanicus). The milil (large) conical fish trap is bigger and stronger than the manyilk variety and is used in tidal reaches of creeks to catch large fish. The smaller and lighter manyilk trap is used in fresh water flowing creeks to catch small fish and fresh water prawns. Traditionally, only men were involved in the construction of the large fish traps, but small children were used to crawl inside to assist with the inner trap. Colourful baskets, mats and string bags are crafted by the women using natural fibres and dyes found in the area. 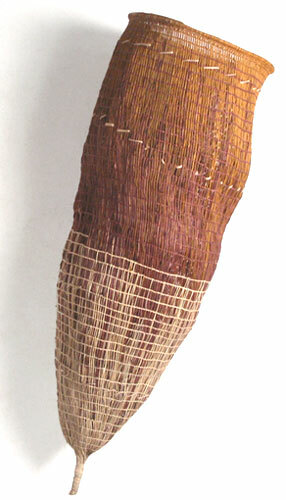 Baskets are woven from Pandanus Spiralis fronds. 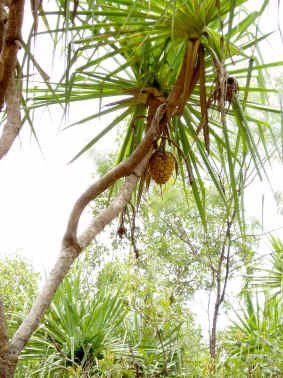 Pandanus grows in and around the local springs and is harvested from the tops of the tree where new tender leaves have just sprouted. The palm leaves are then stripped and prepared for dyeing. 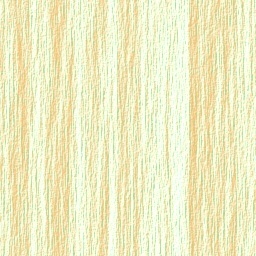 The two main dyes are red colour and yellow colour, which come from Hemadorum (Mulubirtdi) and Corkwood (Gumurduk) respectively. The bulbous Hemadorum roots can be harvested year-round for a reddish-brown dye. When the plant comes into flower about January, the women gather the new seeds which are used to make a deep purplish-red dye. The yellow dye is produced from the Corkwood tree rhizome, which is dug up and chopped off the root system. The raw materials are mashed to a pulp and boiled in a billycan to create the dyes. Then the fibres are soaked in the dye until the desired colour is achieved. 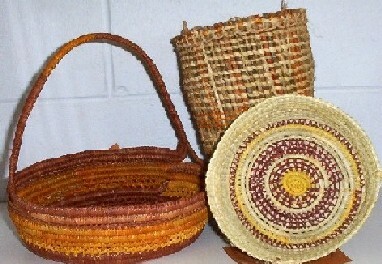 The baskets in the photo were made by basket weavers, Anna Bolgi, Carol Pamkal and Jessica Pamkal. In addition to Pandanus baskets, the women also make Pandanus mats and Kurrajong (Butbut) and Sand Palm (Anjarnkelhe) string bags. They also produce jewellery from seeds and gum nuts.